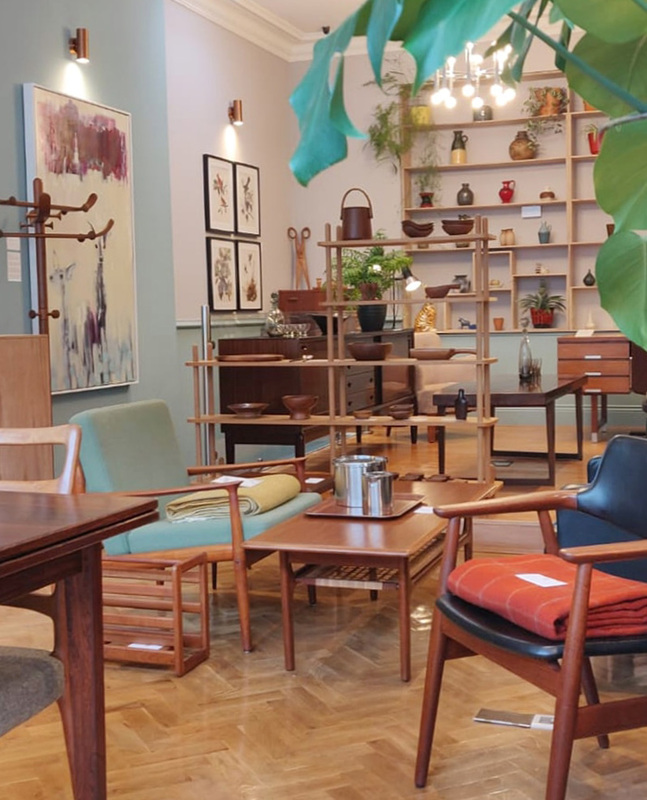 Ferro Velho London was started by couple Joao Vitor & Djihan Ribeiro Chagas, whose aim it is to bring interesting original mid 20th century furniture, home wares & curios back to use by other likeminded individuals who appreciate mid century style & function. Located in the heart of Greenwich, our store is a great place to browse latest stock, gain inspiration & get advice. We stock and source Midcentury Scandinavian, Dutch & other European furniture. Dealing in good quality brands such as FDB, Magnus Olesen, Feldballe Møbelfabrik Dokka, WeBe, by designers such as Sven Ivan Dynsthe, Louis Van Teeffelen & Kai Kristiansen. We also stock quality furniture pieces by lesser known designers & micro manufacturers. Check out our lovely range of blankets. Unfortunately we do not purchase items from private sellers, or sell items on commission. Send us a message or pop into to our shop. Find us on twitter @ferrovelholon or on instagram & facebook @ferrovelholondon. Email us and we will be in contact with you as soon as possible. We do not offer refunds, returns or exchanges on items unless the goods in question are proven faulty or unfit for purpose. Please ensure that you check the full condition of the item(s) before purchase, all items are pre-owned & may show some signs of use and/or wear. This does not affect your statutory rights. Items can be reserved for 7 days by paying a non-refundable reservation fee of 10% of the ticket price. We can store purchased items for a maximum of 14 days on request. Please ensure that 24 hours notice is given prior to your collection, in order for us to have your items ready. If you are arranging collection through your own delivery service, we recommend that you are present during the collection of goods. Copyright © Ferro Velho London 2019 - All Rights Reserved.